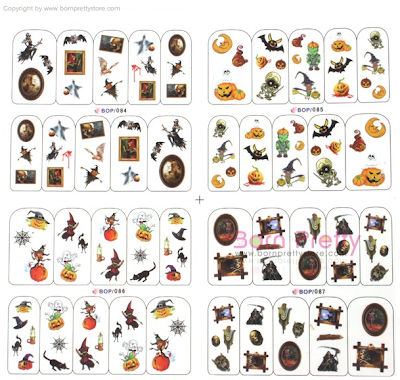 This evening, I have another set of water decals from Born Pretty Store to show you. 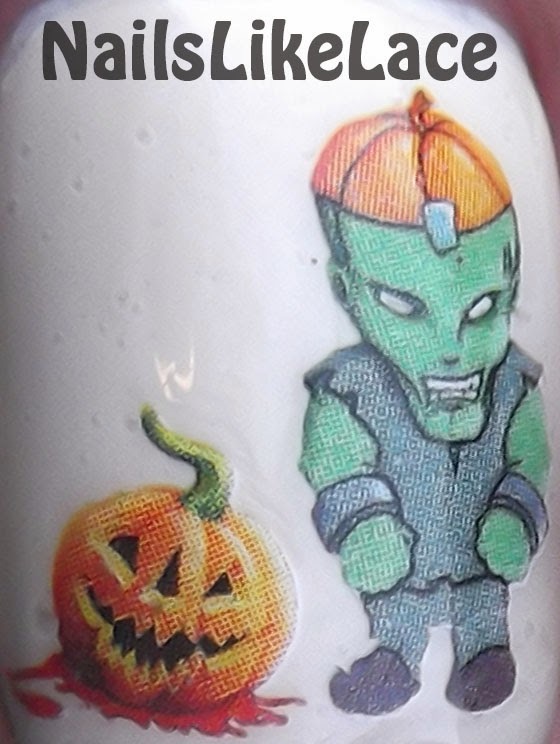 These ones are Halloween themed, and they're pretty ridiculously adorable! You can wear these decals over any color. They are very opaque, as you can see by the white skeleton over green polish on my middle finger! That green is Zoya Josie. I also used Arizona (ring) and Jacqueline (thumb). On my pinky and index finger is three coats of my first ever (and not very impressive at all for the price) Deborah Lippmann called Let's Go Crazy. One of the things I love about these decals is that they are individual. They are all on the one sheet, but you don't have to cut them out precisely and fear having a weird border around the image! They were very easy to apply. They only needed to soak in the water for about 10 seconds before I was able to slide them right off the backing with no problem at all! (Click here for a demonstration on how to use water decals.) Plus, I love how detailed these are and the somewhat textured look they have because of it! 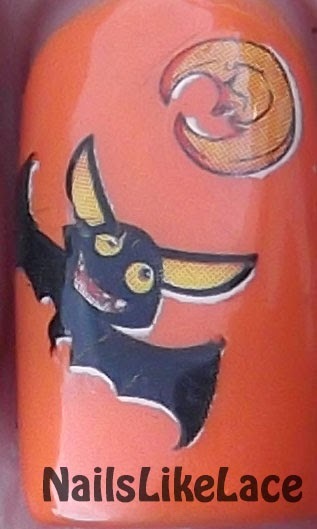 These decals retail for $3.99 USD. 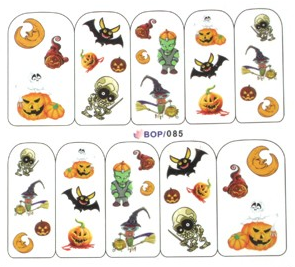 They come on a large sheet with a ton of other spooky designs! 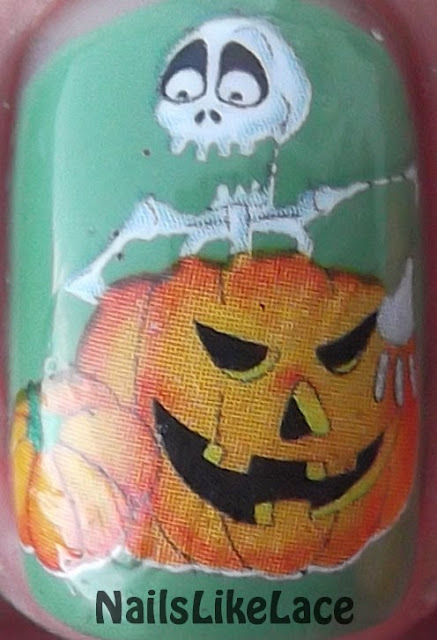 If you're looking for something cute to wear on your nails for Halloween, I definitely suggest checking out Born Pretty Store and all their Halloween decals! 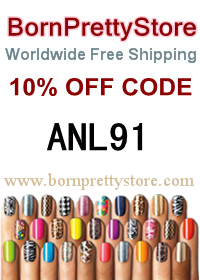 If you do make a purchase, use my discount code ANL91 at checkout and you'll get 10% off your order! Product in this post was provided for review from bornprettystore.com.